You can’t keep a good psychotic, alternate dimension thriller down. That’s the saying right? No matter, in the case of Shadow Knights Studios it’s entirely true. Their game, The Lighthouse, first showed up on Kickstarter back in January. After a DMCA strike mistakenly took the campaign down midway through its run, the project wasn’t able to recover. Now the game is back and looking even better than before. Shadow Knights Studios was initially seeking $25,000 to remake their 2D point-and-click GameJam project. The team fully re-imagined and rebuilt the game with a first person 3D perspective. Being a small team, Shadow Knights relied on contract work to buy some models and art for the game. Unfortunately, some of the assets they purchased were also sold to Lynda.com as educational assets with Lynda.com not getting the memo that they didn’t own exclusive rights to the models. This lead to the aforementioned DMCA. Even after Everett Gunther, the environment artist who created the assets came forward and explained that Shadow Knights absolutely had the right to use the assets in a commercial product, the Kickstarter campaign never fully recovered. This was pretty disappointing since the project looked quite creepy and promising. Thankfully, the developers didn’t give up and now The Lighthouse is making another, more successful Kickstarter attempt. Seeking only $10,000 this time around, the game tells the story of private investigator, James Irvine. On the anniversary of his daughter’s death, Irvine receives a note from a mother desperately searching for her missing daughter. A daughter who shares the same name as Irvine’s deceased child. The oddly poignant detail lures Irvine to the girl’s last known whereabouts, an abandoned lighthouse. Players must traverse the neo-noir atmosphere searching for the truth of Lily Beaumont’s disappearance. Along the way they will need to overcome environmental obstacles and puzzles, all with the threat of a bizarre presence lurking in the nearby shadows. Backers get access to the new alpha demo which has already been making the rounds on Youtube. Thus far the reception has been largely positive and the campaign is well on its way to reaching its funding goal. 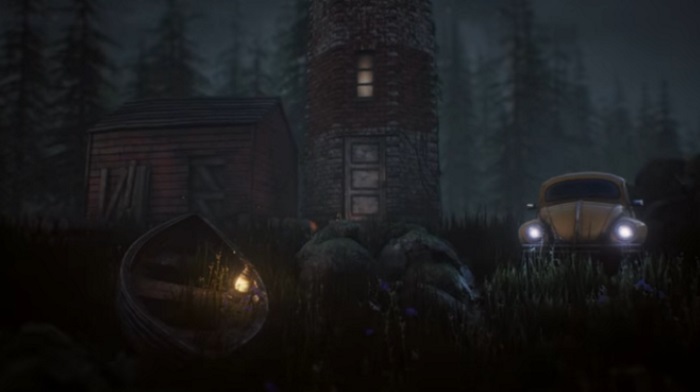 The Lighthouse is a solid mystery set in a suitably creepy environment. Looking forward to seeing this one finally make it.